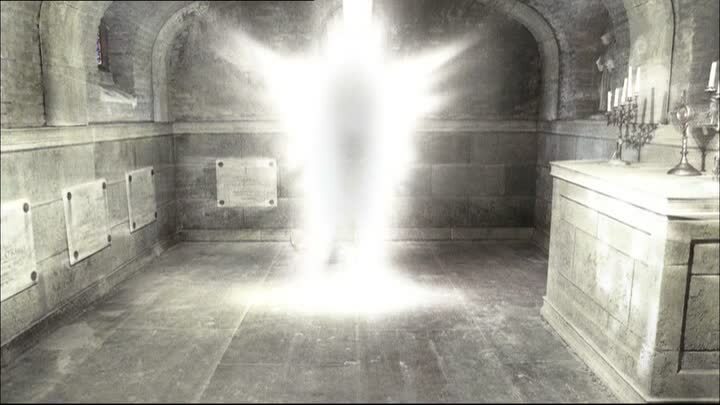 S2E13 "Houses of the Holy"
What could be an Angel appears to people and leads them into committing murder but maybe the victims deserved what they got so is it the hand of god or some sort of vigilante. 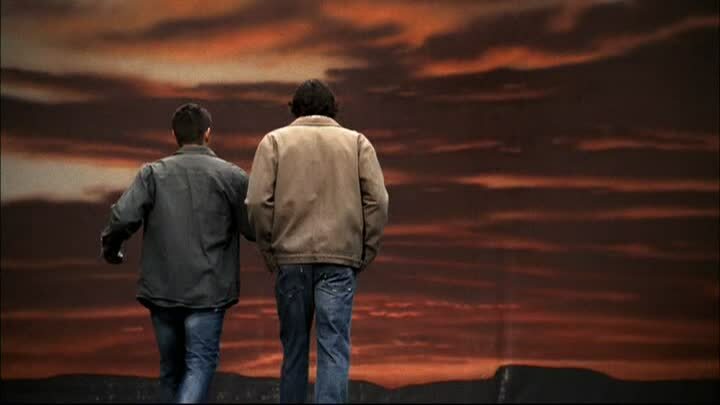 I didn't really enjoy the episode much but the chat about the existence of Angels was fun given what we know now. S2E14 "Born Under a Bad Sign"
Once again Sam has gone AWOL but this time he's been a bad boy and that ain't half the trouble. This episode had some good moments during the second half but took a little too long to get going to be rated as a good episode. Sam and Dean are at each others throats and getting nowhere in the case of some mysterious events surrounding a campus building. Bobby gives moral support and pretty much solves the problem and it's a hell of a lot of fun getting to the end. Nice to see Neil Grayston (Fargo from Eureka) with a small role and Richard Speight Jr.
Tricia Helfer guest stars in this nice and tight yarn. It's a nice idea and used quite often in the series Ghost Whisperer but Tricia as Molly McNamara really shines she makes this episode special. A violent murder which leads to Werewolves as the culprits and it's just Sam's luck that a woman he likes ends up being the middle of the mystery. Emmanuelle Vaugier plays the love interest "Madison" and as with Tricia earlier gets the most out of Jared emotive talents. The episode is pretty average except for the conclusion which bumps the whole thing up a notch or two. Murder on the set of a horror movie (suspiciously like Evil Dead) with Dean and Sam getting jobs as PA's aka Slaves and it isn't long before the history of the stage is played out in all it's gory details. Gary Cole is the smarmy producer and there is a caricature of McG a producer of Supernatural as the director of the movie. A fun episode and in the style the show often reverts to just to lighten things up.